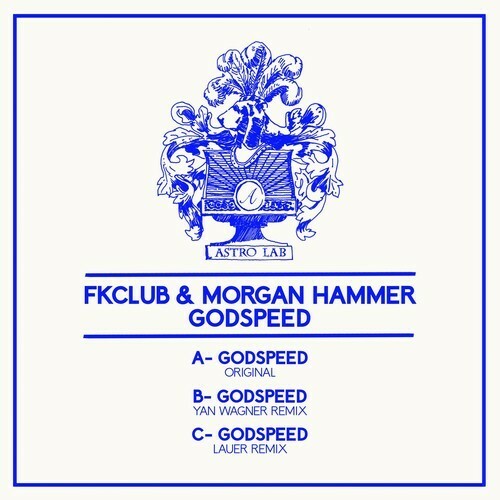 FK CLUB and Morgan Hammer in the same EP… WOW! Astrolab recordings are spoiling us with this release! Two of my favourite artists in the last year and one of the best labels around at the moment is an amazing combination ! As you may already know Astrolab is Laurent Pastor’s label who are responsible for some great releases including the Treasure Hunting Compilation series ! The original track “Godspeed” is a lovely piece of Slo Mo Techno (Is that even a genre?ha) that has a really hypnotic bass line , with really haunting vocals and some really groovy percussion ! This song is an excellent collaboration between two great producers and I hope they have plans in the future for more of the same! Lauer produces a gorgeous remix of the track as well with lovely synth sounds and a bassline that reminds me of 80s bands such as The Cure and New Order , every release I hear from him is beautifully made! Here are the tracks for a preview !